In September 2014, Devon Still, defensive tackle for the Houston Texans, posted a video on his Instagram of him giving his daughter, Leah, an inspirational pep talk before driving her to the hospital for cancer treatments. After the touching video went viral, fans have been keeping up with Leah's progress as she fought neuroblastoma, a pediatric cancer that leaves kids a 50-50 chance of survival. 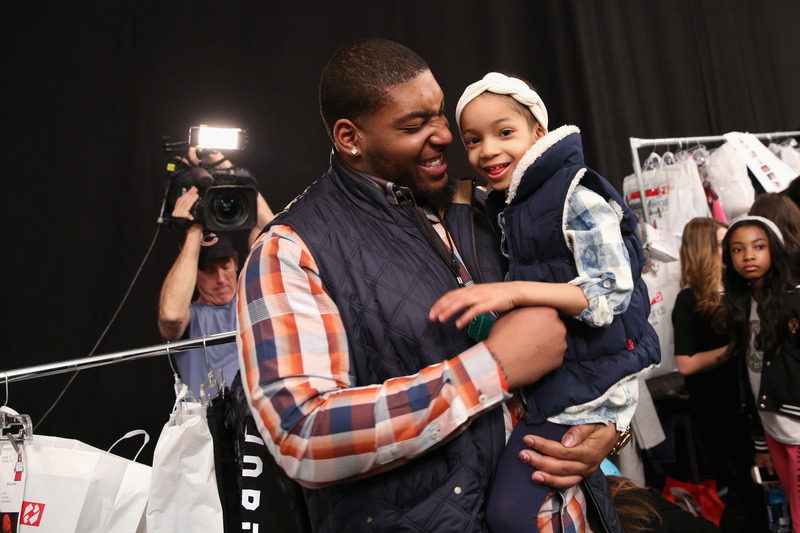 On Wednesday, Devon Still announced that his daughter, Leah, has beaten cancer in an emotional message. While countless fans rejoiced, nobody is happier than Devon, who never left Leah's side for even a moment during her fight. With Leah finishing her last treatment last night, I can really say my daughter BEAT CANCER! Words can't describe how proud I am of this girl. No matter how hard it got or how painful the treatments were (and it was pretty bad a lot of the times) she never gave up! On June 2, 2014, Leah was diagnosed with neuroblastoma, which is found in early nerve cells in developing bodies, and therefore only affects infants and young children. Fans first learned about Leah's story when Devon, who was then a defensive tackle for the Cincinnati Bengals, posted the now-viral video of him asking Leah, "You ready to get this cancer up out you?" As she nods, he cheers her on with, "Let's do it! Fist bump." The sweet father-daughter moment caught the attention of millions, but it was just one of countless glimpses of their heartwarming relationship. Throughout Leah's long and difficult battle against cancer, Devon has remained a constant rock by her side, watching movies with her in the hospital, taking her to meet LeBron James, and even creating a comic book called Leah Strong. The NFL player documented his daughter's brave fight on his social media. Just perusing Devon's Instagram, it's incredibly palpable just how much he loves his little girl. Here is a look at Devon and Leah's extraordinary bond in pictures.